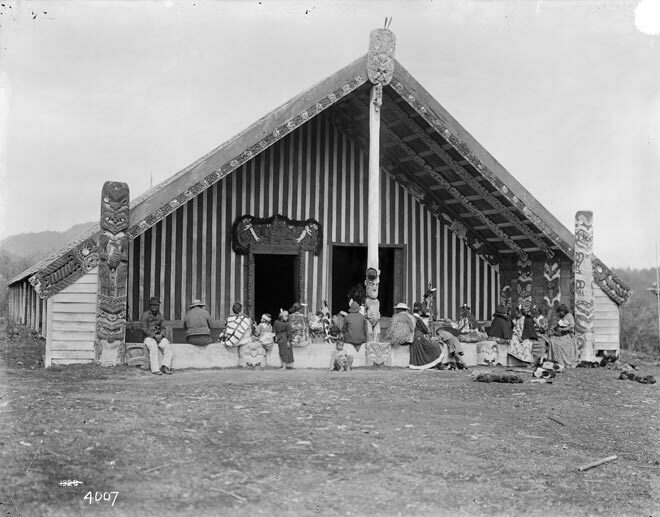 This meeting house was opened at Ruatāhuna in the Urewera in April 1888. It was called Te Whai-a-te-Motu (pursuit through the island) to recall the pursuit of Te Kooti by government forces into the Urewera. Te Kooti sought refuge in the region on two occasions – in early 1869 following his escape from the fortress of Ngātapa, and again in 1870 and 1871 before fleeing in early 1872 to find sanctuary in the King Country.